Previously on Doctor Who: The Girl Who Waited. There’s a room here for everyone, Doctor. Even you. This is a very strange hotel our Team TARDIS have landed themselves in. This is a hotel of fear—now, what’s the Doctor afraid of the most? Which darkness does even the Doctor fear he cannot conquer? As he opens door #11, we hear the Cloister Bell, the TARDIS’ sign for him that big trouble is on its way, and, “Of course. Who else?” just brings it home. 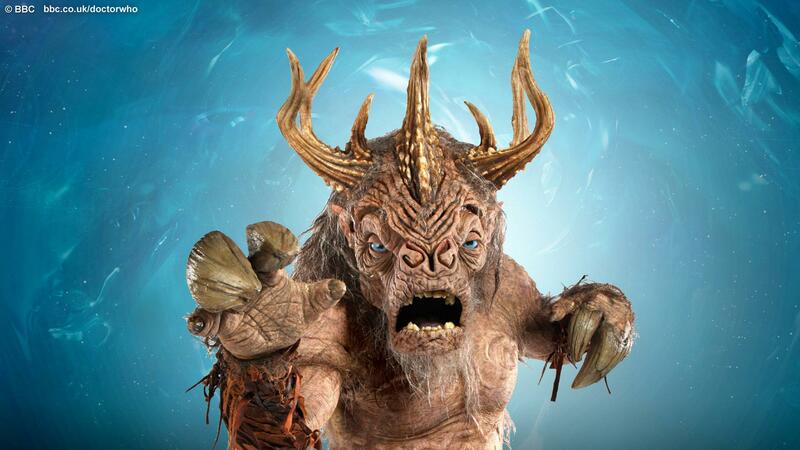 Ever since the Dream Lord appeared, we know that, even with all his enemies across the stars, there is one person who hates the Doctor the most. Then how powerful does that make the faith he places in who- or whatever, to keep going? That’s right, pretty damn unbreakable. Just as unbreakable as Amy’s faith in him is—and in this prison, that’s exactly what’s going to get her killed. As the death count rises, the Doctor rages. The only time I’ve ever seen him take out his anger and frustration on room decor was in The End of Time—and that was for himself, at the end of another lifetime. It’s getting more and more difficult for him to live with himself, and it’s showing. Every additional life that he couldn’t save, every other little defeat he has to come to terms with tears into him deeper, and in turn, he tears into himself with more vengeance. I can’t save you from this, there’s nothing I can do to stop this. […] I stole your childhood and now I’ve lead you by the hand to your death. But the worst thing is, I knew. I knew this would happen. This is what always happens. Forget your faith in me. I took you with me because I was vain, because I wanted to be adored. Look at you, glorious Pond. The girl who waited for me. I’m not a hero. I really am just a mad man in a box. And it’s time we saw each other as we really are. Amy Williams. It’s time to stop waiting. The tragedy of his words is—he himself probably believes them. Deep down, he believes all this, and although Amy, although we might try to convince ourselves that he’d never knowingly take someone to their death out of vanity, there’s truth in it. It’s not to say that the Doctor is vicious, or callous, or a reckless destroyer of the people he loves. But it’s to say that genius needs an audience. The Doctor needs someone to show off to, and it wouldn’t be the first time that that backfired. Big time (think Gridlock). It’s to say that the Doctor knows how dangerous it is out there, and that he simply cannot promise his companions’ mothers that their children are going to be safe—River might be the exception there, in the long run. It’s to say that the Doctor may be a hero for so many of us—but no-one’s asked him to be. And no matter how often his companions’ stories have ended in death, despair, or destitution, he could never stop picking them up, because the loneliness would kill him. Despite the many lives he has saved, there is so much blood on his hands. We love the Doctor, but we have to see how easy it is to hate him. An ancient creature, drenched in the blood of the innocent. Drifting in space through an endless, shifting maze. For such a creature, death would be a gift. And this is precisely why the Doctor gets them a house and a car and drops them off like they’ve shared a cab—because they’re still living and breathing. He’s got the chance to do it right this time. But when’s ever the right time to do this? When do you say good-bye before it’s too late? Although, of course, he’s got something up his sleeve. Both of his sleeves, probably. There’s a plan he needs to put into action, the plan of Lake Silencio, and he needs to do it on his own, possibly for timey-whimey ‘Rory and Amy can’t be there twice while I save my sorry Time Lord arse’ reasons; I don’t know. He’s got every intention of returning, but for how long? Will this be the beginning of the end? Will he pop back in after he’s saved himself, and then say good-bye for good while his companions are still… whole? The thing is, after travelling with the Doctor, life will never be the same again. Very few of his companions ever had a real shot at trying to find a way to lead their lives that would make them feel content. Can anyone ever let go of the Doctor? Of the way he showed them how to be extraordinary? Can they go on being extraordinary, and not get sectioned? Sarah Jane continued saving the world, as did Jack, as did Martha and Mickey. But not every companion gets a spin-off, and the Doctor is fully aware of that when he suggests that domesticity might just be the biggest challenge of all in the near future, for Amy and Rory. The Doctor doesn’t want to be their downfall, so he needs to leave while he can still save them. There can never be the right time to do this. But it has to be done. After all the guilt, the Doctor wants to do something right. And maybe this really is his chance. 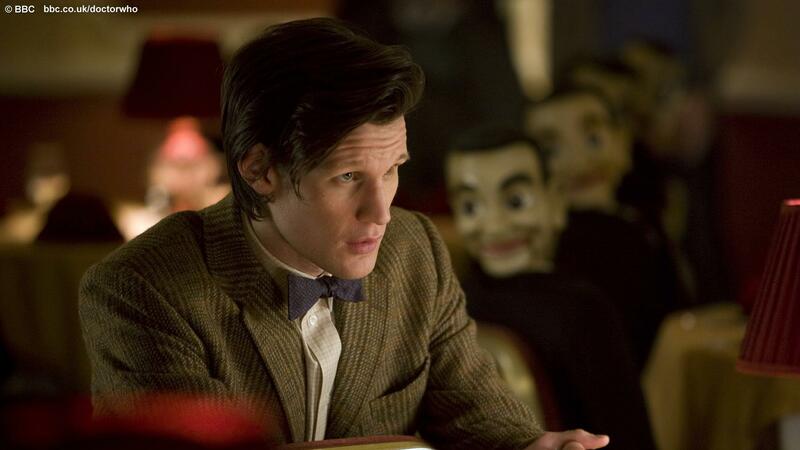 A great episode and another bravura performance from Matt Smith. That final wordless scene in the TARDIS conveys so much weariness with just his body language. The Doctor carries the weight of the world – and the weight of his conscience – on his shoulders, and he is so, so tired. There is definitely a plan developing here – indeed, it may already be in action. It must surely involve a time loop, and I agree that it must be important for the Doctor to get Amy and Rory out of the way to avoid a paradox occurring. I also wonder how much of the recent accidental journeys have been at the behest of an innocence-pleading Doctor (“the Doctor lies”) and how much might be down to the TARDIS itself (taking him “wherever he needed to go”). So many questions, so little time, so many headaches trying to work it all out. This season is turning out to be quite magnificent. I don’t think I was as positive about the episode as you though. I think the biggest problem in the episode was that it was too easy for the Doctor to take Amy’s faith away from her. It was easy, yes, but I think, given that Amy has always been struggling with her faith in him, and due to her emotional instability before the Big Bang 2 that he was directly respsonsible for, and which she still remembers, though she may not feel it as strongly anymore, it was enough to overwhelm her with the evidence of his shortcomings for at least long enough to let the Minotaur die. Besides, she knew that she had to make herself believe it if she wanted to live, so that was contributory, I think. I don’t think the writers are as clueless about Amy’s character as many people think. She may seem inconsistent, but that’s because her emotional angle changed dramatically after the Doctor rebooted the Universe, the Cracks vanished, and Amy got her parents back; and he became an imaginary friend. PreviousI’m gonna pull time apart for you—Doctor Who: The Girl Who Waited. 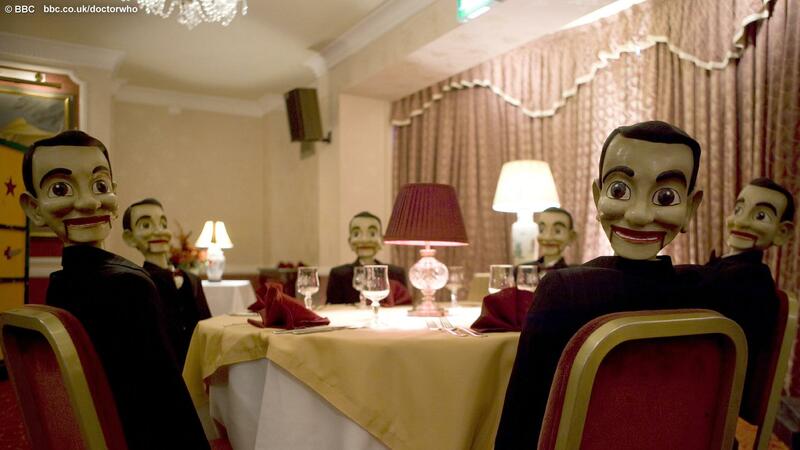 NextThe Noticing Face, Stuff of Nightmares—Doctor Who: Closing Time.